Eagle River High School, with the Green Gang, has become an ASD Green School! Rogers Park Elementary, with the Rogers Park Recyclers, has become a certified ASD Green School! Click Here to ASK/COMMENT NOW! Thanks to a generous grant from the Municipality of Anchorage Solid Waste Services Department, and Alaska Waste, ASD has established mixed paper recycling at its 95 schools and five administrative buildings. 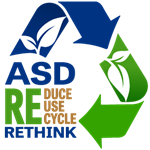 The Recycling program at ASD has as primary goals to increase education and recycling rates while maintaining an environmentally responsible school district. 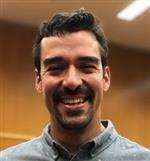 The focus, for now, is on mixed paper — the bulk of the district’s recyclable material, constituting hundreds of tons each year. ASD is also currently exploring different ways to recycle other materials at their facilities.